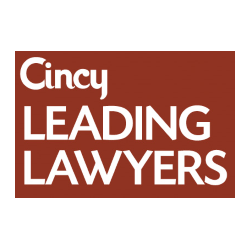 Charlie Luken, Cincinnati’s longest-serving mayor, advises Calfee’s clients primarily on government relations and legislation matters. Charlie works closely with clients to develop effective government relations strategies and has counseled clients regarding issues affecting the gaming, banking and retail industries, among others. He also was key to the passage of a constitutional amendment enabling specific casino gambling development in Ohio. Charlie offers extensive experience and knowledge of governmental issues. He held the mayoral office of the City of Cincinnati from 1983 to 1991 and then again from 1999 to December of 2005. In addition to his experience as mayor, he also served as a congressman in the United States House of Representatives for one term and practiced law in the private sector for 24 years. Charlie is currently a member of The United States Association of Former Members of Congress. Charlie serves on the Board of Homesteading and Urban Redevelopment Corp of Cincinnati. He was appointed Chairman of the Ohio State Racing Commission by Governor Strickland and served in that capacity from 2006 to 2008. In 2009, he served as chairman of the successful statewide ballot initiative to bring casinos to Ohio. Some of Charlie’s most notable initiatives as mayor include the expansion of the Greater Cincinnati Convention Center and the formation of the Cincinnati Center City Development Corporation (3CDC). He also retained and created more than 10,000 jobs and helped raise substantial funding for arts organizations during his terms. Committed to improving race relations, Charlie formed Cincinnati CAN, a round table of community leaders working to improve Cincinnati’s economic and racial climate. Charlie has been honored with the Cincinnati Human Relations Commission Leadership Award, 2005 Man of the Year award from the Cincinnati SPCA, and he was elected 2005 Leader of the Year by the African Methodist Episcopal Churches. He was appointed by The City of Cincinnati to The Banks Working Group, a small group designated by Cincinnati and Hamilton County to oversee the development of the riverfront between the two stadiums. He serves as chairman of the Port of Greater Cincinnati Development Authority. He also has served on the boards of Cincinnati Art Museum, CincyTech USA Leadership, Cincinnati Retirement System, Cincinnati Youth Collaborative and has served as chairman of Downtown Cincinnati, Inc. Charlie has been a member of Success by Six Community Conference, Fifth Third Charlotte Schmidlapp Fund, and American Federation of Television and Radio Artists. He received an honorary doctorate of humanities from the Cincinnati State Technical College. Charlie joined Calfee’s Government Relations and Legislation group in 2006.